Over the past year, HootSuite University has released over 30 Lecture Series featuring expertise and best practices from industry thought leaders in the social space. To cap off 2012, we’re celebrating 12 of these leading educators and sharing their powerful content on social media, to help you sprint to the finish line and hit the ground running in 2013. Check back throughout December as we release The 12 Days of Lecture Series leading up to the holidays, and keep track on Twitter by following #12DaysOfLectures. 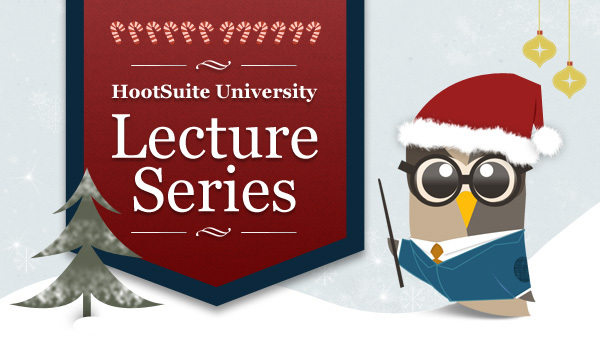 This edition of the HootSuite University Lecture Series was one of the first and most popular of the year, showcasing how social media helps real estate professionals drive traffic back to their sites, sell more homes, and build their sphere of influence. Explore How the Real Estate Industry is Leading the Way in Social Media with Katie Lance, CEO and Owner of Katie Lance Consulting and Chief Strategist at Inman News, a leading online hub for real estate news and technology. Learn tips from case studies featuring real estate professionals using Facebook, Twitter, Foursquare, and Google+ to discover how to recruit new clients using social media, apply proven strategies to your business, and explore efficient ways to curate relevant social content. You’ve learned a lot with us over the past year. 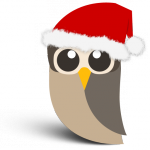 Finish the year off strong, or kick off 2013 with this exclusive, holiday bursary for 50% off 1 month of HootSuite University! Achieve your goals and advance your social media success through ongoing education. 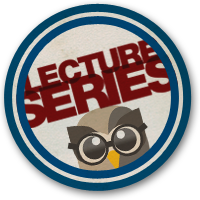 *Coupon code can be applied on our billing page when enrolling in HootSuite University, and expires January 31st, 2013.